One editor remarked that they’d given up any hope of taking a holiday for the next few months out of fear that if they left, they’d return only to find they no longer had a desk…or a job. 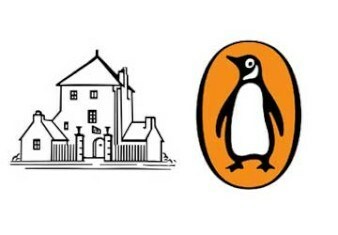 So what can we expect from the Random House/Penguin merger? According to industry consultant Mike Shatzkin, what we can look forward to are new walled garden distribution models. First, “I suspect that they will create subscription model for ebooks.” Shatzkin says that the merged company will have “half the books,” which will “be enough” as the Literary Guild and Book-of-the-Month Club proved years ago. The decline in shelf space is happening faster than the decline in demand for books, noted Shatzkin speaking toward the close of the Publishers Launch conference at BookExpo America on Wednesday. Borders knew that reducing shelf space wasn’t enough so they just closed, Barnes & Noble is leaning toward a Target-model of retailing and stocking plenty of non-book items. “I call the reset the ‘following four’ quipped Shatzkin, who pointed out that even if the four remaining large publishers decide to consolidate or merge, they will still be a bit smaller than the combined Penguin Random House. Continuing on the theme of competition, Shatzkin steered the conversation to Amazon, perhaps the only publishing entity large enough to counterbalance Penguin Random House’s influence. “But when does Amazon’s share growth stop? How big is Amazon’s share growth going to be?” he asked. “Amazon’s print book growth share and sales have grown year after year in absolute terms, but they are starting to ebb,” replied Cader. “They were as close to flat as possible in the last quarter. I don’t think there is inevitable gravity in the ebook market. some dismiss Kobo and Google, but they are gaining some share. Apple has gained share and has been encouraged into putting more resources into ebooks in order to gain more share.“ And if Amazon’s share growth does stop or decline, then their threat as a publisher does decline. That said, publishers themselves are doing much better and turning in increasing profit margins of five, six, even seven percent. DISCUSS: Will Self-Publishing Counterbalance Trade Publishing Consolidation?